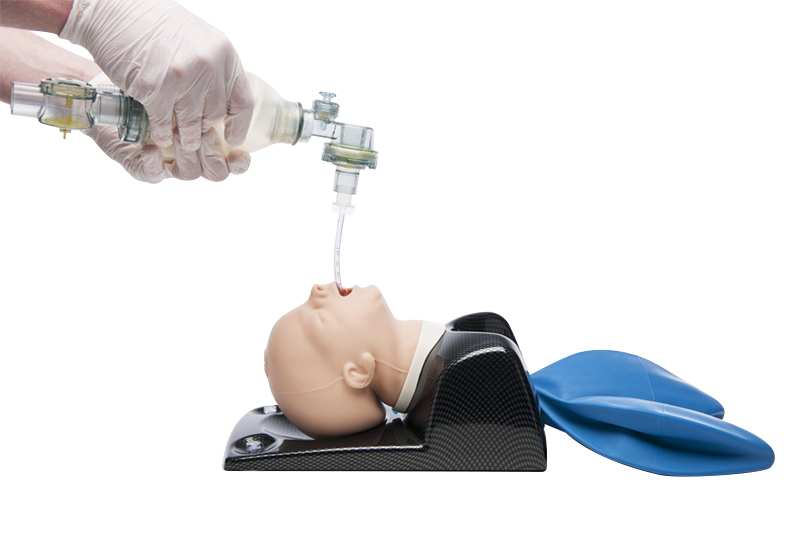 AirSim Baby is the first edition of TruCorp's family of advanced airway paediatric manikins. True to its heritage, AirSim Baby has realistic anatomy and a clinical functionality that enables basic and advanced paediatric airway management. AirSim Baby facilitates training in the use of bag/mask ventilation, supraglottic airway insertion and both naso and orotracheal intubation. In addition, it can be used with all current video laryngoscopes. Realistic airway allows for training in all aspects of infant airway management including positive pressure ventilation, insertion of laryngeal masks and endotracheal intubations (nasal and oral) Recommended sizes of tracheal tubes are 3.5-4.0, recommended size of supraglottic airway is size 1. Realistic external and internal anatomical features allow for easy and successful demonstration of all paediatric video laryngoscopes. Recommended size of videolaryngoscope is size 1. 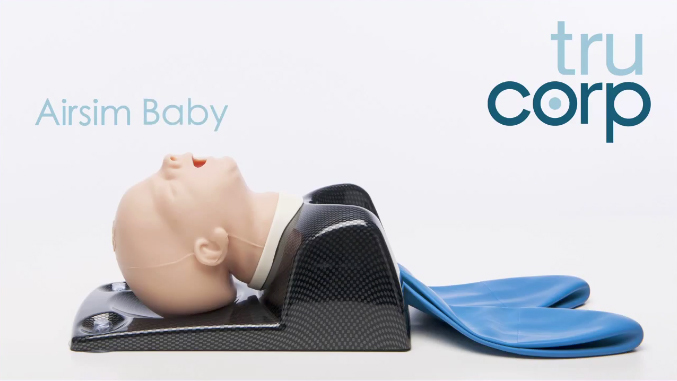 Presented on a lightweight but sturdy frame, AirSim Baby comes shipped with its own lungs to demonstrate correct tube placement and is neatly packaged with its own lightweight case for easy transportation.